New Zealand was recently voted 9th best country to live in worldwide. This survey was taken according to ‘business experts and informed elites’. These stats take into consideration the living standards, income and health of the population. New Zealand has also been voted 29th most popular country to start a business, 22nd best country in which to study abroad and the 20th most progressive. It’s also considered the ‘least corrupt’ country in the world alongside Denmark. Those stats aren’t bad! We at Oyster tend to agree that this fantastic country should not be overlooked by anyone! So when you’re considering an eco-holiday or perhaps somewhere to spend a gap year, have a little read about why New Zealand so be in the running. 1. The amazing scenery and landscapes that takes your breath away. Fjordland is just the most beautiful place on earth which has been endlessly explored and photographed by millions of tourists and locals alike. 2. The New Zealand All Blacks rugby team are notoriously one of the most extraordinarily successful teams in the world, and infamous for the pre-game Haka dance which show cases their rich Maori culture. 3. Off the back of this, the indigenous people of New Zealand keep their heritage alive and offer an insight into their Polynesian routes. Tourists can enjoy learning about this culture as 15% of the population are of Maori and Islander descent. 4. New Zealand boasts some of the best wineries in the world. You can savour great wines from the fantastic regions such as Hawke’s Bay and Central Otage to the world famous Marlborough area. Enjoy these wines in your own country or visit the vineyards for awesome food and a glass of Sauvignon! 5. 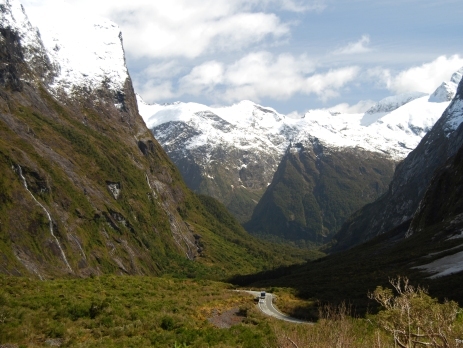 New Zealand is the home of the bungee jumping phenomenon and a must-do here on any travellers bucket list. Head to Queenstown on the South Island to really experience what it’s all about. 6. For those who love cycling, then this is the country for you. The Nga Haerenga trail covers almost 2,500kms of paths to ensure you’ll never be in the same place twice. The views are breath taking as you witness some of the beautiful scenery on the planet. 7. 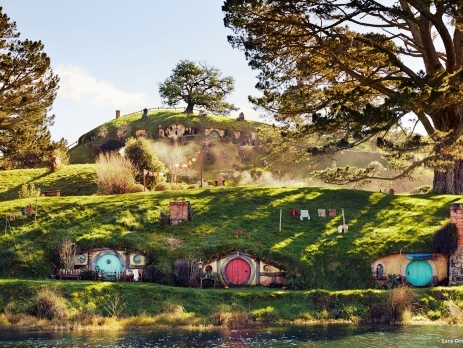 For the big fans of Lord of the Rings and The Hobbit trilogy, you can take a trip to the Hobbiton set and see all the beautiful landscapes that feature in these films. This cannot be missed. 8. The South Island offers one of the best places in the world to witness the almighty sperm whale. This is unmissable for those who are into marine conservation. 9. There is something comforting about visiting a foreign land that has a familiar homely feeling. New Zealand are proud of their connections with Britain and with a shared language, rolling green hills and love for a well kept garden. You should feel safe and secure in your home away from home. 10. New Zealand’s population is only 5% human, the rest are animals. Just another great reason to visit this bio-diverse part of the world! 11. It is predicted that nearly three quarters of the population live within 5 km of a beach. Perhaps this is an underrated fact given how famous New Zealand’s big brother Australia is for its coastline. New Zealand’s beaches are so beautiful, they are clean and unspoilt by manmade structures, making this one of the most untouched coastlines in the western world. 12. Don’t forget about the awesome volcanoes. Sites such as the geysers and sulphurous lakes are just some of the jaw dropping magic that you can witness in this inspiring land. 13. New Zealand has a range of great festivals such as running with sheep in Te Kuiti, and with jaffas down a Dunedin hill. They also like to throw a gumboot or two in Taihape! 15. This is one of the most peaceful nations on earth. Since World War ll, New Zealand has barely participated in any wars bar deploying troops for peace keeping and training. They have also proudly been a nuclear- fee country since the 1970s. If you would like more information on Oyster’s projects pages, take a look or fill out a booking form for our conservation project or paid work programme in New Zealand. Previous Post NEW: Women&#8217;s empowerment project in Pokhara, Nepal!